Humanism and the "Arena of Conflict"
An octopus of Non Governmental Organizations (NGOs), Tax-Exempt Foundations, Think Tanks, Multinational Corporations and the Media Establishment practice the subtle science of persuasion. In the last two hundred years there isn't a single area of society that hasn't been influenced by facilitators of transformation education. For complete control of the masses a dictatorship is not necessary, although it does expedite the process. The collective moulding begins early in life, sustained and refined throughout one's formal education; a universal curriculum of manipulation can transform and achieve a complete paradigm shift for a whole generation. 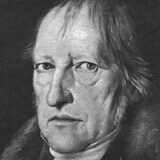 The most successful method to manipulate and control society is the Hegelian Dialectic, named after its originator Georg Wilhelm Friedrich Hegel (1770-1831). It has been used by Karl Marx and Frederick Engels to support their theory of communism. The dialectic process as described by Hegel can be reduced to three parts: a recursive pattern of thesis, antithesis, and synthesis. The thesis (each idea) is opposed by its antithesis and reconciled with the thesis in a synthesis (consensus), which in turn becomes a new thesis opposed by antithesis. Hegel said that history was nothing but the expression of this flux of conflicting and resolving ideas. Since every synthesis is the thesis of a new dialectic, social change is guaranteed. The process continues until society reaches the Absolute Idea: the ultimate synthesis, giving rise to no antithesis. In the context of this document, the "Absolute Idea" is world government. The dialectic process is at the core of all political and social manipulation. 1 Fascism against communism; capitalism against communism; democrats against republicans; conservatives against liberals; Christians against Muslims; environmentalists versus property owners; greens against libertarians; pro-choice pitted against pro-life; antiwar activists versus the neocons. The control of the conflict and resolution leads everyone into a new cycle of conflicts. 2 The right-left political dichotomy of western politics is carefully orchestrated: a classic divide and conquer Hegelian trap. Whichever side of any particular ideology we happen to adhere, our beliefs and convictions fulfills a necessary role in the grand scheme. A perpetual recursion of constant change, becoming, ceasing, contradictory aspects of tension/conflict and eventual transformation. The beneficiaries of the "resolution of conflict" are properly identified as the Illuminati. In order to have complete control over the conflict of opposites it is necessary to control the creation of textbook enemies as well. That Hitler's Third Reich (the communist revolution, the creation of Israel, Saddam Hussein, Noriega, Bin Laden and much too many to list) were financed, supported and nurtured by Wall Street bankers, and/or the CIA and/or members of western secret societies is not coincidence 3. With the Soviet Union having run its course (capitalism vs. communism) through successful "synthesis" with the west, a new "antithesis" was already mature enough to take its place: Islamic Fundamentalism. Hegemony is, of course, the ultimate goal of the current Bush administration in America. Imposing American Hegemony in the Middle East is of particular urgent concern. His advisors refer to him as the "transformational president." 5 George Bush, himself, uses the term "change agent(s)" often, likely at the direction and behest of his inner circle; although, I doubt he grasps the true meaning and significance of the concept. 6 To be fair, however, the "Left" have traditionally been used as pawns and educators - using the weapons of transformational "doublespeak" to great affect. Clinton, before him, was the most prolific social manipulator of all previous presidents. Humanism is the guiding principle behind today's "open conspiracy" as it is seductively appealing to the ego of man. Weishaupt himself advocated the replacing of all religions and nations with a form of humanism by establishing "a peculiar morality and religion fitted for the great society of mankind." Socialism and Communism are based upon humanist principles - and indeed are the fruits of the philosophy; we saw how badly it failed in the former Soviet Union and how it continues to subjugate over a billion people in China. Humanism in all its manifestations (secular, religious, ethical, cultural, philosophical, etc.) seeks to idolize man and the natural world in place of God. Modern manifestations of it range from the United Nations to Satanism 7. It is the very backbone of the New Age Movement, Freemasonry and indeed the Illuminati itself. The dangerous maxim "do what thou wilt shall be whole of the law" then applies to every aspect of morality and society. 8 The Humanist has no moral absolutes. In the words of the official Humanist Manifesto II , "moral values derive their source from human experience. Ethics is autonomous and situational needing no theological or ideological sanction." Humanism is another powerful tool by which the Hegelian process works on society. The Pennsylvania researchers followed up and uncovered more documents relating to "behavioral strategies." Schools were referred to as "experimental laboratories." Linked with the word education they found terms and concepts such as "laboratory," "behavior," "operant conditioning," "social reinforcement," "internal-external control," "training change agents," "the science of planned change," and how to train "change agents" for the "role of the state facilitator." When the humanists refer to the schools as the "arena of conflict", they mean it literally. A child today may enter public education with a set of values instilled in them by their parents, but as they progress through the state-sponsored "laboratories", those values and attitudes are methodically dissected and superseded with a carefully engineered replacement. Visit any school in America or the West in general and you will find teaching concepts like outcome-based education; holistic education; transpersonal education; conflict resolution; integrated curriculum; constructivist learning; general systems theory; personal mastery; mental models; child centered classroom; total quality management; school to work; consensus circles; peer mediation; focus groups; values clarification; situational ethics; sensitivity training. Since Humanism is intertwined so completely at the core of Communism, it is no surprise that this humanistic "groupthink education" serves the purpose of paralyzing individual thinking. The Group, the State and eventually a One World Government must be superior to the individual at all costs - group-subservience and group-consensus is vital. Till the war-drums throbb’d, no longer, and the battle-flags were furl’d In the Parliament of man, the Federation of the world. There the common sense of most shall hold a fretful realm in awe, And the kindly earth shall slumber, lapt in universal law. - ALFRED, LORD TENNYSON, “Locksley Hall,” verses 60–65, The Poetical Works of Alfred, Lord Tennyson, p. 111 (1897). For those just starting to research the "new world order", they may be shocked to learn that it's really about world government. Even the consummate researcher, Joan Veon lamented as much in her book The United Nations' Global Straightjacket: "I had no idea that it was world government ... no one ever made the connection for me." She certainly made up for the oversight, however. Veon goes on to thoroughly document the players involved, the methods, the organizations and especially the behemoth infrastructure that exists already. Presently, we live in an "unofficial world government." The world will have to go through some catastrophic event, much larger in scale than 9/11, to catapult us into an "official world government." Whether it is orchestrated like 9/11, or not, is largely irrelevant to these "masters of Hegemony." It will come one way or another and the infrastructure is well in place for the Illuminati to take advantage of it. The story of how we reached this point along the path to global totalitarianism is a long one, many books have been written on the subject and I won't go into the details here. A short overview of the present will suffice. The following is a short list, by no means exhaustive, of the major players helping in the goal toward a one-world government: think-tanks, foundations, change agent NGOs, new age organizations and official UN bodies. You may be surprised by some of the organizations with NGO attached to their names. NGO's have been around since the UN's inception, some have been granted special Consultative Status (ECOSOC) which allows them to sit in on weekly sessions and be a part of the decision making along with full member states. I received an email from a reader a while back asking me why I had put the Bahá'í Faith on the list of religious groups run by the Illuminati. The list itself was compiled by Texe Marrs in his book Dark Majesty and I hadn't investigated the Bahais enough to give an answer. After a mere 2 to 3 hours of "Googling", however, it became very clear why Texe had included them in his list. The Illuminati's "Absolute Idea" of the Hegelian Dialectic is for the ultimate synthesis to encompass a One-World Government, a One-World economic system, and a One-World Religion. The economic and political infrastructure is far enough ahead with the only missing piece being the creation of this "New World Religion." Many attempts have surfaced in the 20th century, but besides interfaith agreements and cooperation, no definitive framework is complex and thorough enough to claim that potential prize. I have come to believe that the Bahá'í Faith fits the requirements perfectly. Escaping the persecution was one of Báb's followers, a young man named Mírzá Husayn-`Alí. Mírzá became known as Bahá'u'lláh, which means "The Glory of God." in 1863, Bahá'u'lláh openly declared His mission as a messenger of God - the Promised One foretold by the Báb. The followers of Bahá'u'lláh became known as Bahá'ís. Bahá'u'lláh taught that all past messengers of God - such as Abraham, Krishna, Moses, Zoroaster, Buddha, Christ, Muhammad and the Báb - had foretold the day when peace and justice would be established worldwide. The Bahá'ís believe that Bahá'u'lláh's appearance fulfills the promise of all the world's scriptures. In 1868, Bahá'u'lláh was exiled in the prison city of `Akká. During this time he wrote more than 100 volumes which comprise the basic scriptures of the Bahá'í Faith. Bahá'u'llá's last will and testament appointed his eldest son,`Abdu'l-Bahá, as the head of the Bahá'í Faith. Abdu'l-Bahá's writings are also viewed as authoritative and sacred. The Bahá'í Faith's reach and influence is worldwide. Their leaders have contributed to the birth of the UN and take part in every conference related to global governance and initiatives such as the drafting of Agenda 21 and the Earth Charter. It is well recognized that the Bahá'í Faith is, for all intents and purposes, the religion of the UN. With one of their offices located in the UN headquarters, Bahá'ís have influenced and converted many international politicians to the teachings of Bahá'u'lláh. In 1955, during the first decade review of the UN charter, the Bahá'í International Community offered a statement to the United Nations, based on ideas articulated nearly a century before by Bahá'u'lláh. "The Bahá'í concept of world order is defined in these terms: A world Super-State in whose favor all the nations of the world will have ceded every claim to make war, certain rights to impose taxation and all rights to maintain armaments, except for the purposes of maintaining internal order within their respective dominions. This State will have to include an International Executive adequate to enforce supreme and unchallengeable authority on every recalcitrant member of the Commonwealth; a World Parliament whose members are elected by the peoples in their respective countries and whose election is confirmed by their respective governments; a Supreme Tribunal whose judgment has a binding effect even in cases where the parties concerned have not voluntarily agreed to submit their case to its consideration." Writing in the 1930s, Shoghi Effendi, who then led the worldwide Bahá'í community, sketched out some of the functions and responsibilities for a future world legislature. Among other things, he wrote: "a world legislature, whose members will, as trustees of the whole of mankind... enact such laws as shall be required to regulate the life, satisfy the needs and adjust the relationships of all races and peoples." Throughout His writings, Bahá'u'lláh consistently uses the terms "order", "world order" and "new world order" to describe the ongoing and momentous series of changes in the political, social and religious life of the world. In the late 1860s, He wrote: "The world's equilibrium hath been upset through the vibrating influence of this most great, this new World Order. Mankind's ordered life hath been revolutionized through the agency of this unique, this wondrous System - the like of which mortal eyes have never witnessed." "... When the Supreme Tribunal gives a ruling on any international question, either unanimously or by majority rule, there will no longer be any pretext for the plaintiff or ground of objection for the defendant. In case any of the governments or nations, in the execution of the irrefutable decision of the Supreme Tribunal, be negligent or dilatory, the rest of the nations will rise up against it, because all the governments and nations of the world are the supporters of this Supreme Tribunal. Consider what a firm foundation this is! But by a limited and restricted League the purpose will not be realized as it ought and should." "If the objectives of Agenda 21 are to be addressed and satisfied, an expanded effort, different in nature but comparable in scale and commitment to the Marshall Plan for the redevelopment of post-war Europe, might be necessary. In this case, the Bretton Woods institutions would be called upon to mount a pronounced campaign to expedite national implementation efforts. A mandate of this nature can result only from a conference, similar to the first Bretton Woods meetings fifty years ago ... "
"He excelled not only in theology but in other branches of knowledge, such as the humanities, the philosophy of the Illuminati, the teachings of the mystics and of the Shaykhí School. He was a universal man, in himself alone a convincing proof." 642. About one thousand years ago, a Society was formed in Persia called the Society of the Friends, who gathered together for silent communion with the Almighty. They divided Divine Philosophy into two parts: one part, the knowledge of which can be acquired through lectures and study in schools, and the second part that sought by the Illuminati, or followers of the Inner Light. The schools of this Philosophy were held in silence. Meditating, and turning their faces to the Source of Light, the mysteries of the Kingdom were reflected from that central Light into their hearts. All the divine problems were solved by this power of illumination. ... These people, who are called “Followers of the Inner Light,” attain to a superlative degree of power, and are entirely freed from blind dogmas and imitations. Men rely on the statements of these people; by themselves, within themselves, they solve all mysteries. "And then Kahlil, 'The Master,' got a following. He told me that he belonged to the Illuminati in Persian. He would rise up and say, What do we need a Manifestation of God for? Each one of us can come into direct contact with God. I am in direct contact with God." The philosophers of the world are divided into two classes: materialists, who deny the spirit and its immortality, and the divine philosophers, the wise men of God, the true illuminati who believe in the spirit and its continuance hereafter. A World Government: to enact the laws required to satisfy the needs of all peoples. It will have at its disposal the combined forces of the world in order to maintain peace. A World Parliament: The members of this should be elected by the people in each country, and their election should be confirmed by their respective governments. A World Code Of Law: based on justice for individuals and for nations. A World Tribunal: Its decision will be binding on all parties. World Police Force: An international police force must be created, dedicated to upholding justice with complete impartiality. Universal Equality: Everyone must have the right to education and to be equal before the law. There must be a universal bill of human rights. A World Language: A world language will be either chosen or invented. This will be taught in all the schools of each country, in addition to the mother tongue of the region. The economic resources of the world will have to be used more responsibly, and organised more fairly. A world currency is necessary to stabilise the world economy. A universal system of weights and measures is required to improve trade and communications. A world economic community needs to be created where all economic barriers will be removed, and a world free trade area established. The Bahá'í administrative structure already exists at a local, national and international level and can be taken as a model for future society. People are elected to the Bahá'í bodies solely on merit, without any nominations or canvassing. In the Bahá'í system, power is devolved to the lowest possible level, and is given to groups, not to individuals. Consultation at all levels is a key part of Bahá'í administration. The main local community meeting consists of prayer, consultation and social interaction, designed to foster a spirit of unity and co-operation. Bahá'u'lláh's call, more than 100 years ago, is still waiting to be answered by the world at large. The beginning of the new world order is within our reach. 1 An excellent overview on this concept can be read here Antony Sutton on "Left" versus "Right" and the Hegelian dialectic in American politics; here Hegelian Dialectics and Conspiracy; and here Understanding How The Hegelian Dialectic Is Transforming The World To Bring In The New World Order. 2 See Anti-Communitarian League: What is the Hegelian Dialectic? for a much more exhaustive treatment. 3 The books of the late Antony Sutton are the best documentation of the Wall Street connection with both the Bolshevik's and Hitler's rise to power. Available online: WALL STREET AND THE BOLSHEVIK REVOLUTION, and WALL STREET AND THE RISE OF HITLER. 4 See The New World Order, for a short and concise definition of hegemony. 5 Plug in this search: "hegemony+neocons", for instance. A total of 9,540 results are displayed as of this writing. For the exact label "transformational president" see: this search. 6 Here's a search on whitehouse.gov for the particular phrase. There may be more than this. I became aware of his references to "change agents" by watching televised recordings of some of his speeches. At one point I noted 5 separate occurrences within a week's span. 7 See Humanism and Satanism for a comparison of Satanism and the Humanistic world view. 8 One of the foundations of Thelema, introduced by Aleister Crowley in his Book of the Law. The theme is much older though and links together the emerging humanists of the renaissance through to the modern form of Satanism. 10 In a document titled Marriage and the Family published by the British Humanists Association in 1969. 11 Educating For The New World Order - The Role of Behavioral Psychology, an excerpt from Bev Eakman's Educating for the New World Order. 12 See The Shocking Origins of Public Education for all the details and a transcript of a John Taylor Gatto interview. 13 Bordewich, Fergus M. 1988 Colorado's Thriving Cults , New York Times Magazine, May 1: 36-44; quoted in A Report on New Age Influence in the Schools by Craig Branch. 14 Gorbachev once said "the environmental crisis is the cornerstone for the New World Order" - Gary Kah, The New World Religion, p.142. Agenda 21 is being implemented and taught as "Local Agenda 21" throughout the U.S. and the world as a whole. Sample searches: "agenda 21"+school; "agenda 21"+church; "agenda 21"+workplace and similar "earth charter"+"school". School's Out - Will the Rainbow Bus Take Our Kids to the Land of Diversity? Public Education Or Pagan Indoctrination?